Your Soul song is the song your Soul wants to sing through you in your life. We’re not taught how important it is. 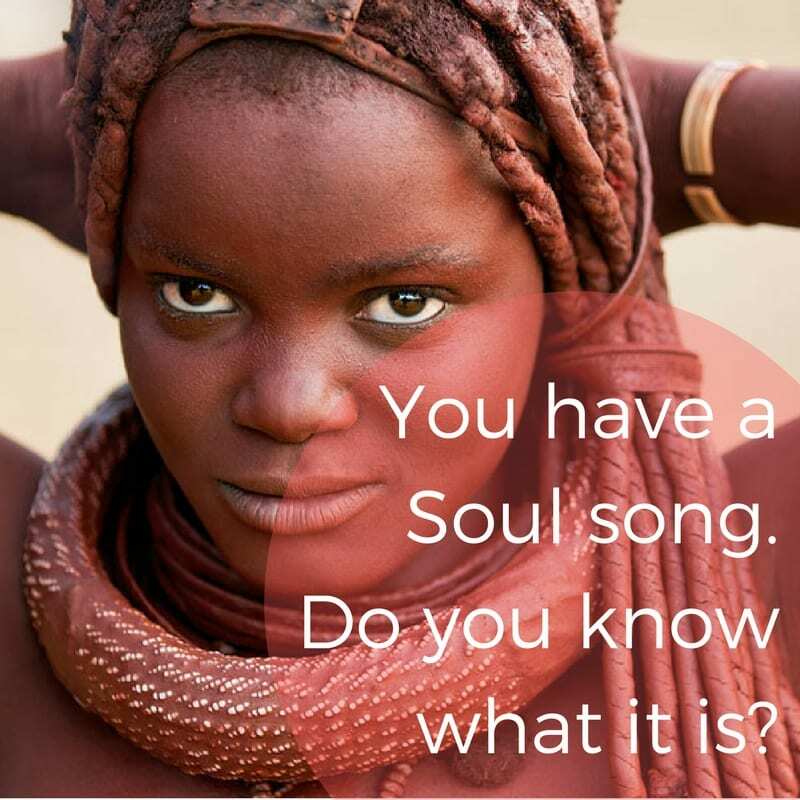 But the Himba tribe in Namibia centers every person’s life around their Soul song. When a woman decides to conceive, she goes into nature to commune, meditate, and receive the Soul song from the being that will be born through her. She returns to the man who will seed her and teaches him the song. They sing it when they make love to welcome the Soul. During childbirth, the midwife and women in the village sing the song as the child is being born. Throughout childhood, the child is sung their song, especially during rituals, puberty, and important celebrations to honor the child. When the child is hurt or upset, her Soul song is sung to her. Whenever a child makes a mistake or is out of integrity, the parents and family circle around the child and sing her Soul song to her. And so the child learns her Soul song. And as she becomes an adult, her Soul song runs through her body, heart, and cells. If an person harms or violates another, or goes against the village norms, their Soul song is sung to them as “punishment”. Wrong doing is understood as being out of alignment and integrity, that they have forgotten who they are, not that they are bad or something is wrong with them. When a couple gets married their Soul songs are sung. As a person prepares to die, the villagers sing their Soul song periodically, and at the moment of their transitioning. You have a song. A Soul Song. Do you know it? Do you know what your Soul wants to sing in your life? If you feel your song pushing up from inside you, check out my upcoming group.